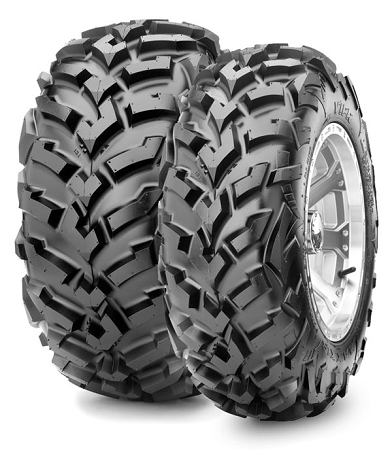 In a rapidly growing UTV market we are needing more UTV tire options and Maxxis has pulled through for us with the all new Vipr tires. 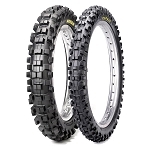 The Maxxis Vipr is an excellent options for side x side owners looking for an all purpose tire. The 6 ply radial construction gives a great ride and excellent durability. The directional tread design excels in loose to intermediate terrains. It's able to dig in the mud but also rides nice on hardpack. 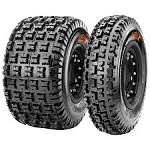 - Maxxis Vipr ATV Tires are sold individually. This is the second set of these tires I've bought. The first set lasted 6000 miles and worked excellent and never a flat. Good traction on hard pack, mud and rocks. Q: I AM CURRENTLY RUNNING SEDONA RIPSAWS 26X11X14. (REAR ) . THEY ARE ON A POLARIS RZR 800 EFI. I HAVE A LIFT-KIT ON IT AND PLENTY OF CLEARANCE. CAN I GO TO A 27X11X14 WITH NO PROBLOMS? ( 26X9X14 ) ON FRONT. WOULD LIKE TO GO TO A 27X9X14. IS THIS "OK" ? A: Yes you can go up to the 27x9 & 27x11 on your machine. A: These start at $110 for the smallest size. The bigger they are the more they cost. There is a surcharge amount next to the larger sizes that will be added to the $110 when you add it to your cart. 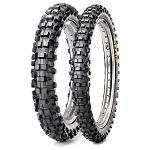 Q: Hello, I wanted to find out which tire you all recommend, between the Maxxis Bighorn Radial and the Maxxis Vipr Radial. Its for a Arctic cat trail 700. Some rock climbing here and there? A: Both are excellent tires. You couldn't go wrong either way. I would maybe lean towards the bighorns just because they have been around longer and have an excellent reputation. The Bighorns are also a little more aggressive so they may perform a little better off-road. Q: tires and rims come mounted with valve stems when ordered together? A: Yes if you buy rims and tires together we automatically put them together for you with lug nuts, valve stems and center caps.